Nissan’s subsidiary in the UK, Nissan Great Britain has adapted technology that is 200 years old to reduce smartphone distraction when driving. The company designed the Nissan Signal Shield is the prototype of a compartment that can be installed within a Nissan Juke. This innovative feature utilizes the Faraday cage concept to create a silent zone when a mobile device is placed within the compartment and its lid is closed. All the phone’s incoming and outgoing Bluetooth, cellular and Wi-Fi connections are completely blocked with the compartment acting as a jammer of these signals. The use of this concept can minimize the distractions caused by smartphone use while driving and drivers can focus more on the actual driving. This is particularly relevant with studies indicating that the number of drivers who have admitted to using their phone while in the car has gone up from 8 percent in 2014 to 31 percent in 2016. Nissan itself conducted research that found that 18 per cent of drivers have texted while driving. Dr. Greenfield, Clinical Professor of Psychiatry at The University of Connecticut School of Medicine said that many people compulsively check their phones because they experience a surge in their dopamine levels whenever they get an update through text, email or social media. This increase in dopamine levels triggers feelings of happiness. It is this desire for happiness that prompts people to text while driving, leading to sometimes fatal accidents. Motorists can still listen to music or podcasts stored on their smartphone by connecting to the vehicle’s entertainment system via the USB or auxiliary ports. Even within the Nissan Signal Shield compartment, it is possible to maintain wired connectivity. In the event that they need to restore the phone’s wireless connections, drivers do not even need to take their eyes off the road. 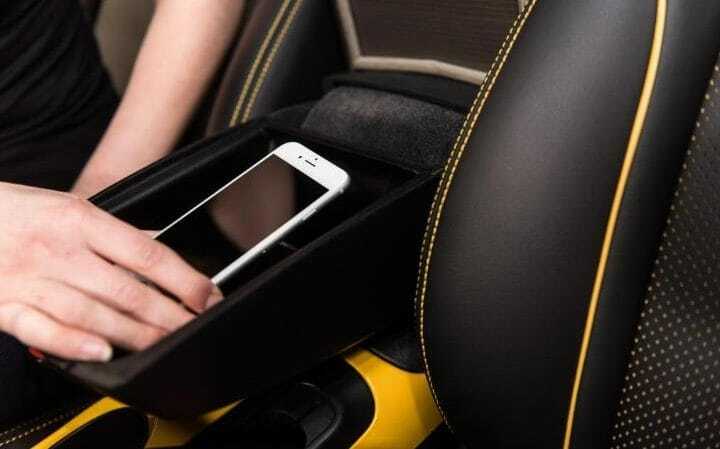 They just need to open the armrest to reveal the compartment and the phone can reconnect with the mobile network and the car’s Bluetooth system. The Faraday cage was invented in1830s and blocks any incoming electromagnetic signals like cellular or Bluetooth data as they are distributed across the cage’s external conducting material and prevented from reaching the device. For those motorists who are vulnerable to the lure of their smartphone, the Nissan Signal Shield will help them to ignore their smartphone while driving. Can Technology Solve Driver Distraction?